Matthew Turbatt, the owner of Requip’d Canada had a retail and informational booth all weekend. 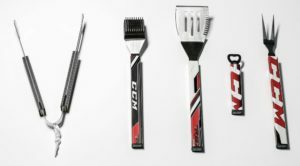 Turbatt explains how he turned a college project into a thriving company that re-purposes old and broken hockey sticks into new household items. Greg Poisson, works for Shimano Canada/Shimano Steps which is a Japanese cycling company that creates parts for all types of bikes, including electric bikes. 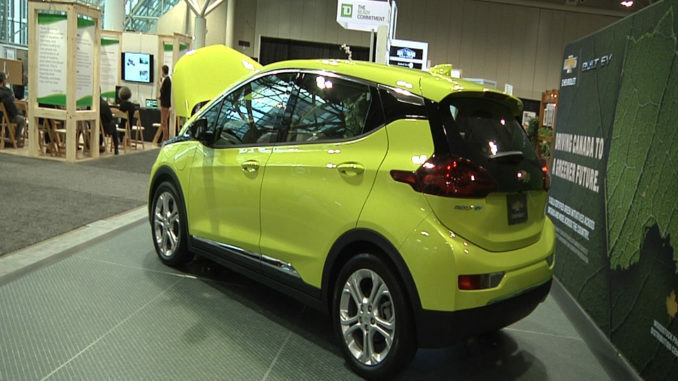 Poisson states that the company and himself have been at the Green Living Show in Toronto the past 5 years, and has personally seen an increase in audience attendance every year. Poisson further explains Shimano’s products and their mission to help the environment. 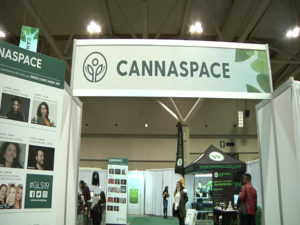 There were rows and rows of exhibitors that ranged from vegan foods, to electric cars, to healthy ways to cook and consume food with marijuana. It was a unique event with hundreds of local and foreign visitors, that experienced healthier ways to live and help the environment!